Service is what our company was founded on. Whether it is unscheduled emergency repairs or routine maintenance, Apple Door is ready to respond to door service needs at your home or business 24/7. 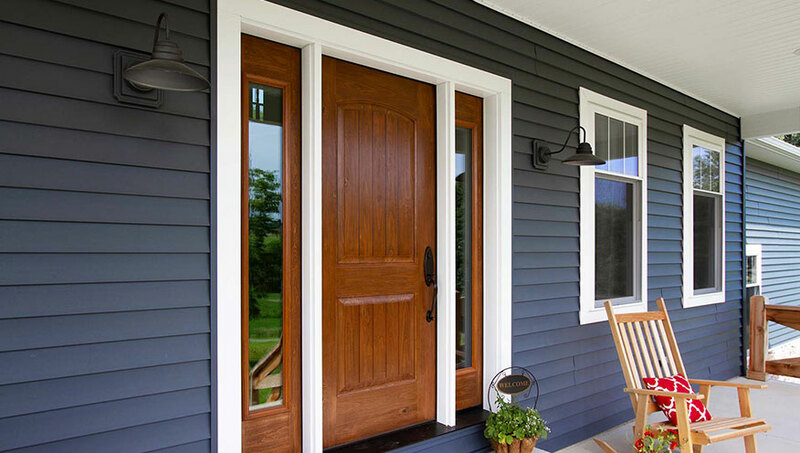 Whether you are looking for a garage door, entry door, awning, pet door or a variety of other products to add efficiency and curb appeal to your home, Apple Door has what you need. Your business depends on us. 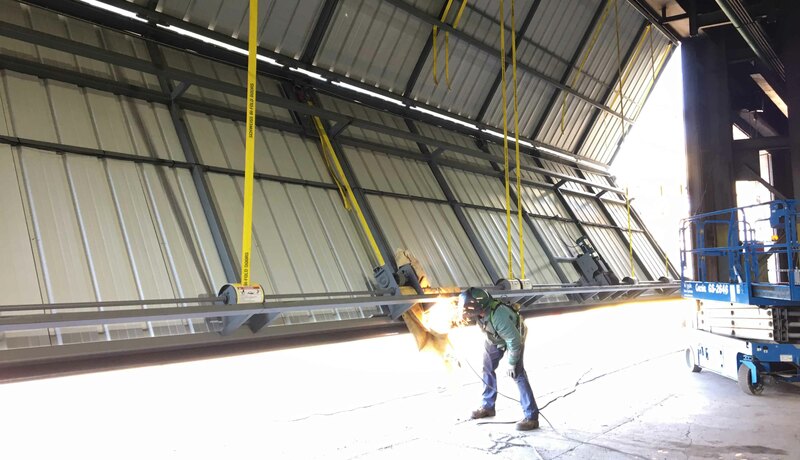 Apple Door has developed a collection of sectional overhead doors, coiling doors, truck doors, dock equipment and other commercial door products that will meet the needs of any commercial or industrial application. We will be there when you need us! For immediate service, click below or call 1-800-277-3667 24/7. Click the request quote button, and one of our expert sales professionals will get back to you ASAP. Apple Doors and so much more! 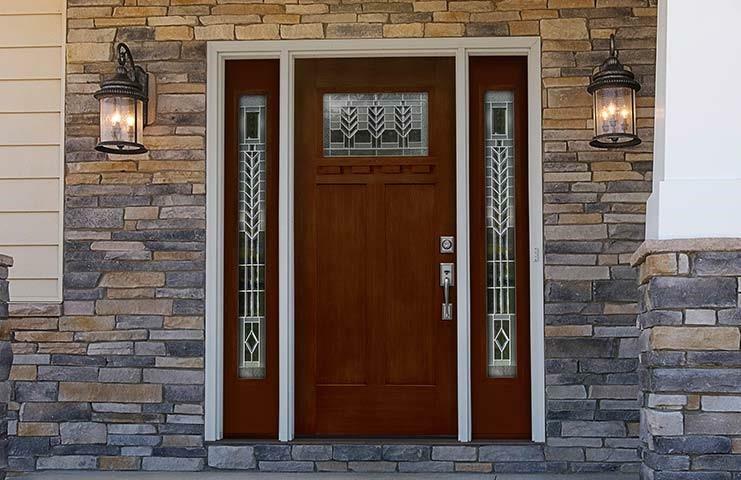 Browse our wide array of residential and commercial door and access products. 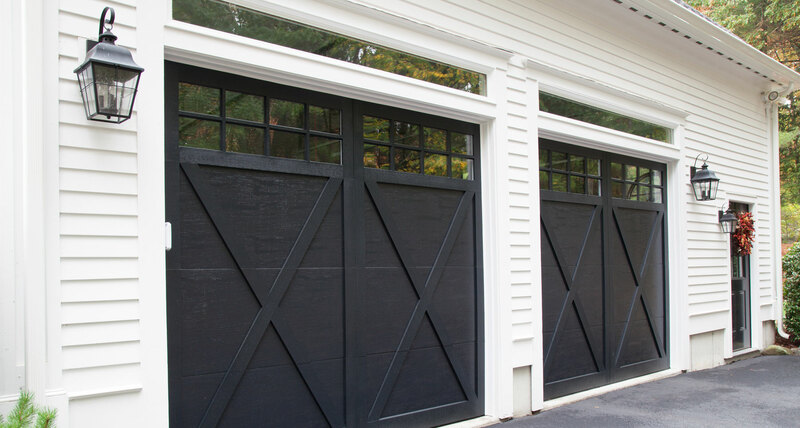 While we specialize in garage doors, we also sell and install all types of access products for your home or business. Since 1973 we have been serving Virginians with the finest products backed up by professional service. 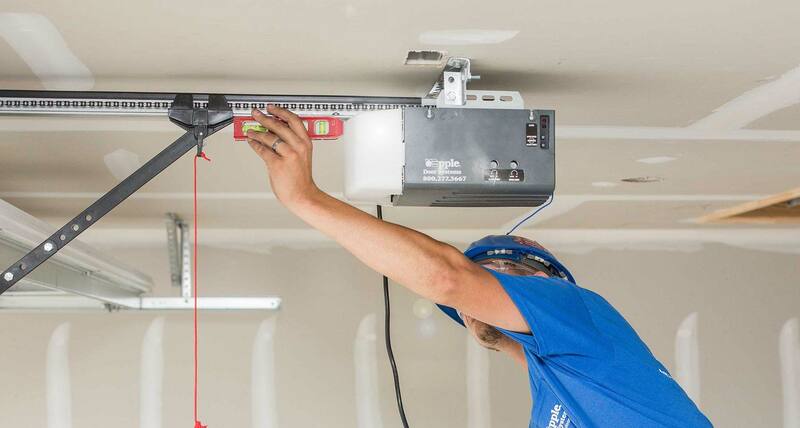 Our service and installation trucks are manned with the best trained, most well equipped technicians in the business. 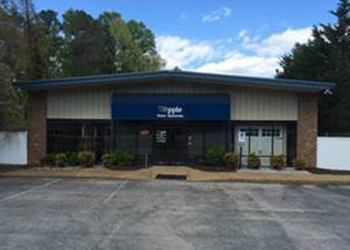 We are proud to showcase our products in six locations throughout Virginia. 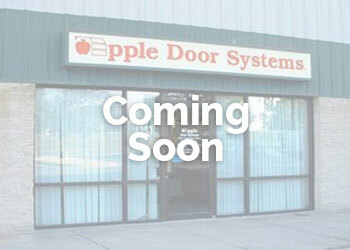 You'll find Apple Door stores in Richmond, Fredericksburg , Waynesboro, Williamsburg, and Chesapeake. Each location has a fully staffed showroom and customer service center. Please visit the "Contact / Info" section of our website for the store nearest you. 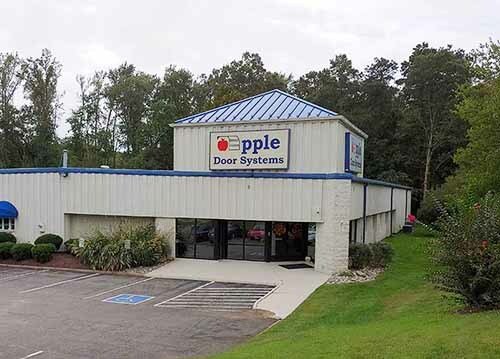 Whether it's our hallmark garage door products, Awnings & Solar Shading Systems or heavy duty industrial doors, Apple has the access products of choice throughout Virginia . 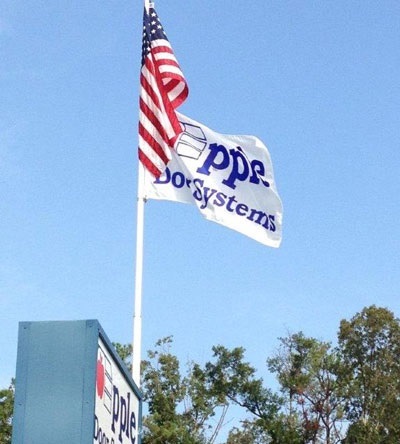 Call us today or stop by one of our showrooms and let us custom design a system for you. Remember, if you need emergency repair service, just call us, 24 hours a day. Thank you for visiting our website. We value our customers' feedback. Tell us what you like, what you don't like or what else you'd like to see on-line. We appreciate your business and look forward to serving you. You never get a second chance to make a good first impression. 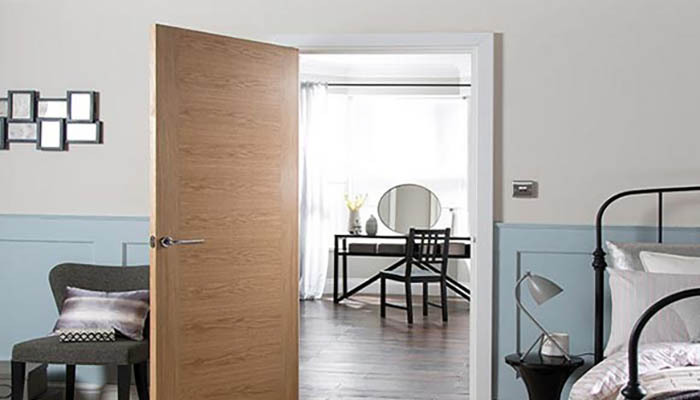 A beautiful Apple Door System will always greet your guests with classic elegance and style! 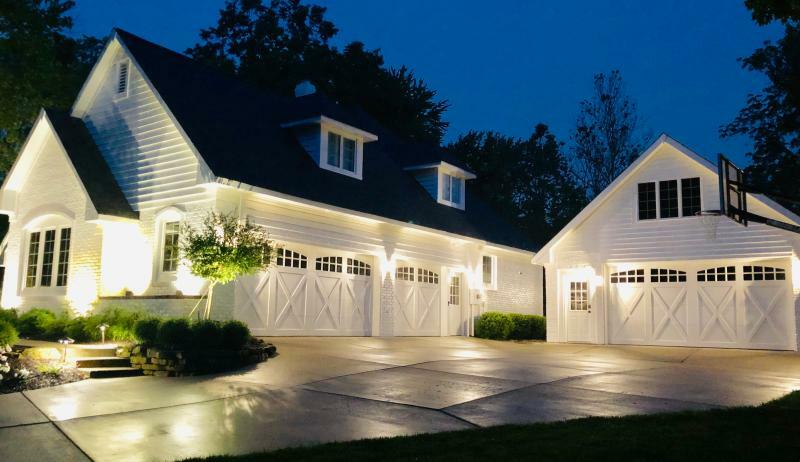 If you are looking for garage doors that are a great value, energy efficient, low maintenance and add curb appeal to your home, Apple Door has what you need. 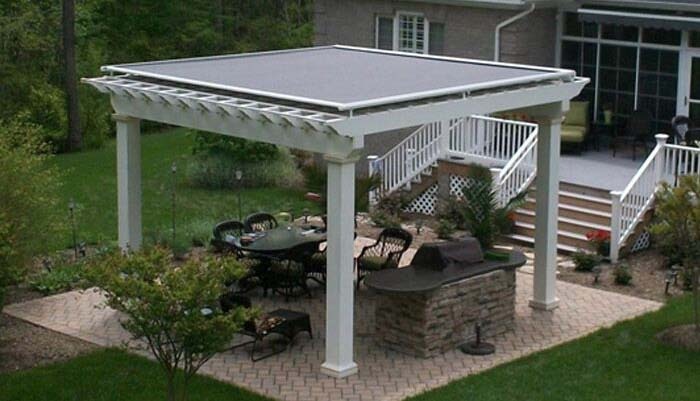 A pergola is a wonderful focal point for any landscape. They come in a variety of materials, colors and styles to elevate the look of your home. Architectural designs for the inside of your home that will add the quality and style you deserve. 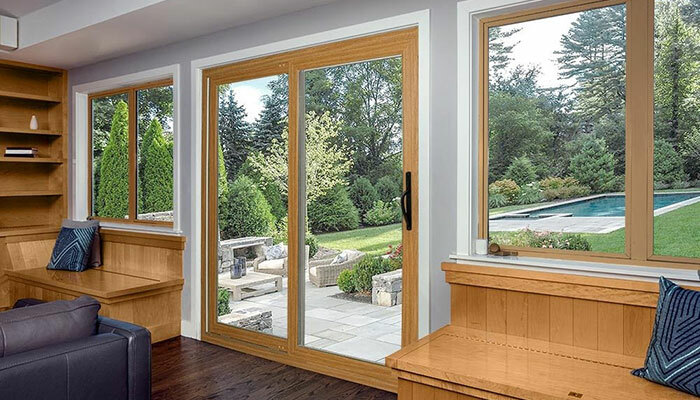 Our Energy Star rated patio doors are handmade and available in both swinging and sliding styles. "My wife and I were expecting our second child and planned to utilize a bedroom above the garage as a nursery. However, the garage door opener was extremely loud and could be heard (and felt) throughout most of the second floor. Apple installed the Viper opener, nylon wheels, and vibration isolators. Now I cannot hear a thing! Great product and well worth the investment." "I just wanted to thank you, your staff and technicians for the incredible quick response. I received a call from Lisa at the Williamsburg store first thing this morning. The technician was able to stop by today to inspect the garage door opener and I had an estimate faxed to me before noon. Again, thank you for the very prompt and professional way in which my request was handled." "Not only is that Viper quiet, but I actually enjoy listening to it purr as it slowly slides down it's track. Maybe that novelty will wear off, but in the meantime you could ask me to do an ad for the company and I'd be convincing. I know it sounds ...a bit strange, but after 18 years of our grinding garage motor, I may be in love with it". "Gentleman, Frances & I just had a front entry door & garage door installed. The work performed by your installers,Stephan & Rob was outstanding, professional, timely & courteous. We are very pleased with our new doors & the service we received. Thanks also to Billy Hensley, it's a pleasure these days to do business with a person who delivers exactly what he promised & does it the first time." "Your whole staff: the lady in the office, the lady that stopped by to check the door and the installer were just good, caring and capable people. 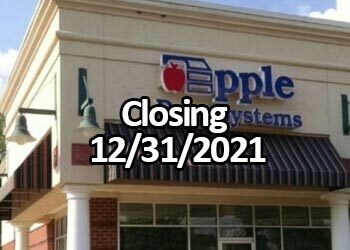 No wonder that your business has been open since 1973. The people made the difference." "I am writing to thank you and your service staff for responding to my request for a garage door repair in a timely and courteous manner. 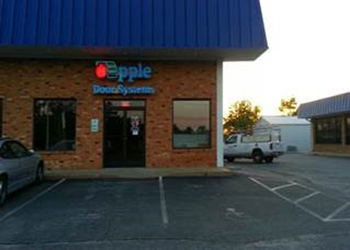 Apple Door was the ONLY one to offer same day service and a commitment on the potential cost. I will definitely refer friends and family to your company." 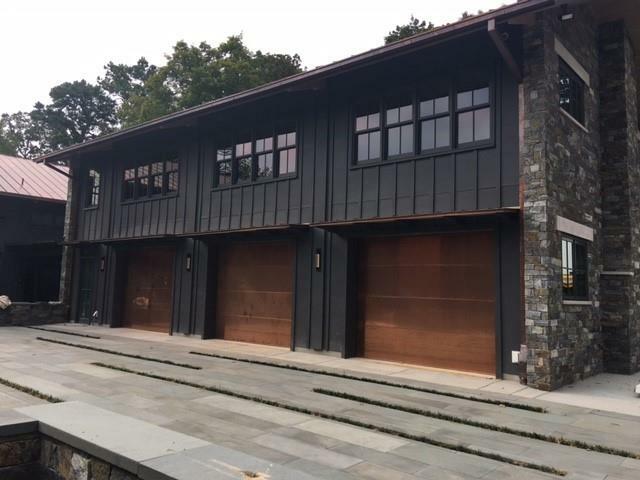 "Apple Door Systems has remained our source of garage doors because of their continuous business philosophy. Their attention to customer service is well above the industry standards. 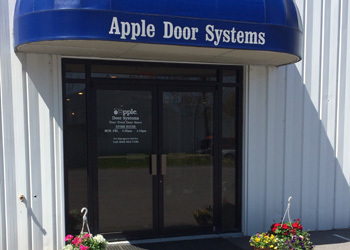 We can assure you Apple Door Systems is offering an excellent value for the cost." "I want to express my absolute satisfaction with your service department. You are obviously blessed with highly trained professional technicians. I want to also thank whoever retrieved my voicemail and promptly dispatched these highly qualified people to correct my problem."